Below are all of my offerings! Reiki, also known as universal life force energy, is a Japanese healing practice. Reiki is an all knowing divine energy that can do no harm, and can only benefit the recipient. It can help heal physical ailments, emotional ailments, mental ailments, chakras, karmic wounds and unresolved problems or traumas. As a certified Usui Reiki Master* and Karuna Ki Reiki Master**, I will open the energetic channels and allow Reiki energy to come to you, through each chakra. You, as the recipient, then will take in as much healing energy as you need, and it will go exactly where it is needed for your highest good. Your higher self knows exactly what will need the most healing in this moment of your life. But, we can also set specific intentions, and focus on specific areas that need healing attention and care, for example back pain, migraines, monetary abundance, heartbreak, etc. Reiki can even be sent to future circumstances to bring life force energy into specific situations, such as the birth of a child. Each session will come with a small tarot reading on what Spirit would like you to focus on in the coming weeks after your session. Upon purchase, I will email you about scheduling a session time, and give you details about your session, and how to prepare. Each new and full moon, I host a distance group Reiki session. The intention of each of these sessions usually corresponds to the theme or energy of each moon that they coincide with. For example, the intention of an Aries Full Moon Reiki session can be to ground our individual desires into our relationships and find balance between both the sacred, divine masculine and feminine energies as well as find those energies within us in our physical, grounded bodies. And the intentions of a Pisces New Moon can be to help us trapeze the unseen world and see how we can better serve the world with our intuitive gifts, and heal our own spiritual blockages while opening up to our magical potential. Each session is 45 minutes to an hour in length in length, it will be specified in the corresponding instagram post and pre-reiki email. Each session comes with a group tarot or oracle card reading. I also typically intuitively set a crystal grid prior to the session and leave it alone for a week for the crystals do their magic. 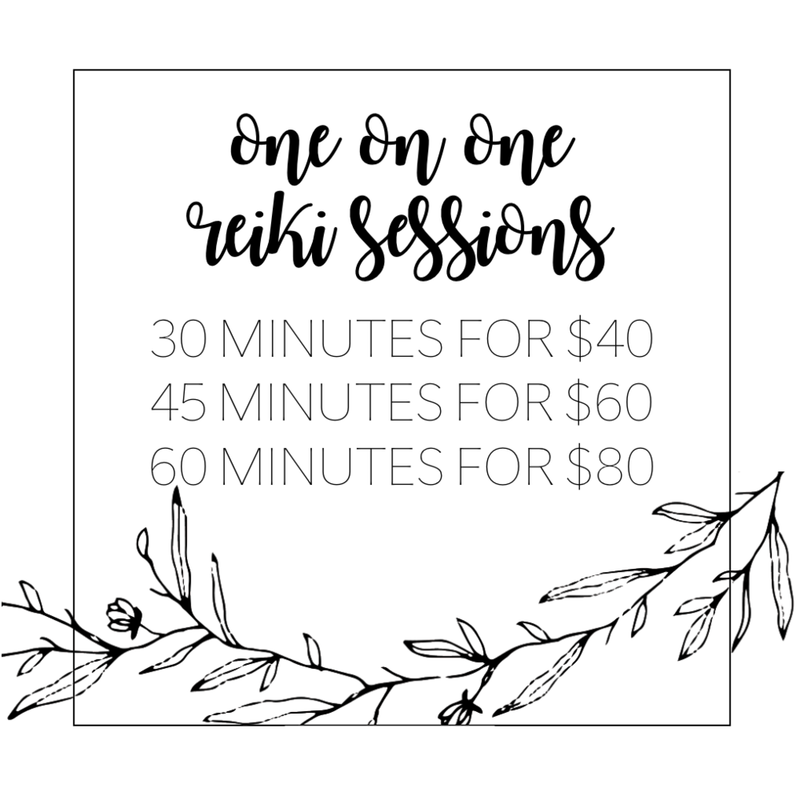 Sessions are priced at $10, an affordable amount so that Reiki can be accessible to a larger participance. About an hour before the session, the Reiki information will be emailed to the email address linked to your PayPal account that you used for payment. When making your payment, please include your first and last name, another email address if you prefer to receive the info elsewhere, and any specific intentions you would like to set with the Reiki session if you have any. I've been working with the tarot since 2009, and I absolutely LOVE it. Tarot, to me, is a helpful tool that allows me to better access my intuition, and all that is, to bring you insight to whatever troubles you are facing. The cards act a medium for me to relay the messages that the Universe and your guides have for you. 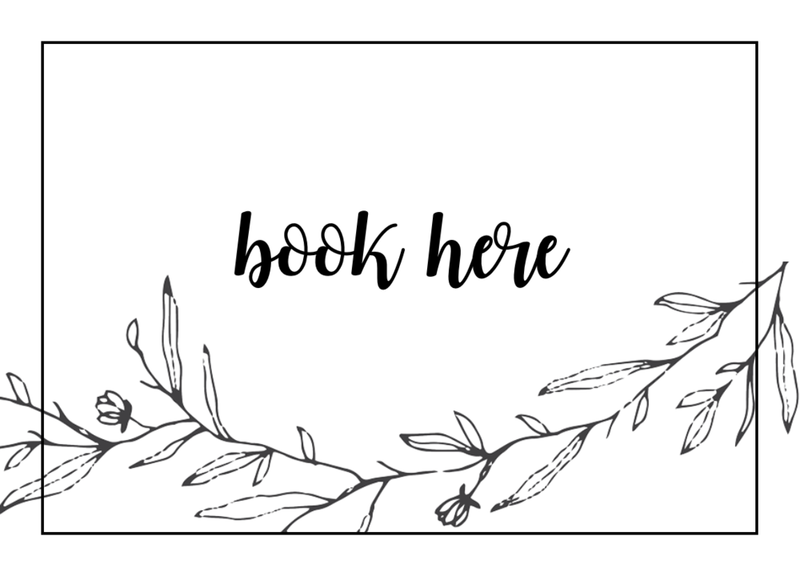 Please have a question or theme for the reading ready when you book, and feel free to include any details about your personal situation for me to better assist you though your troubles. 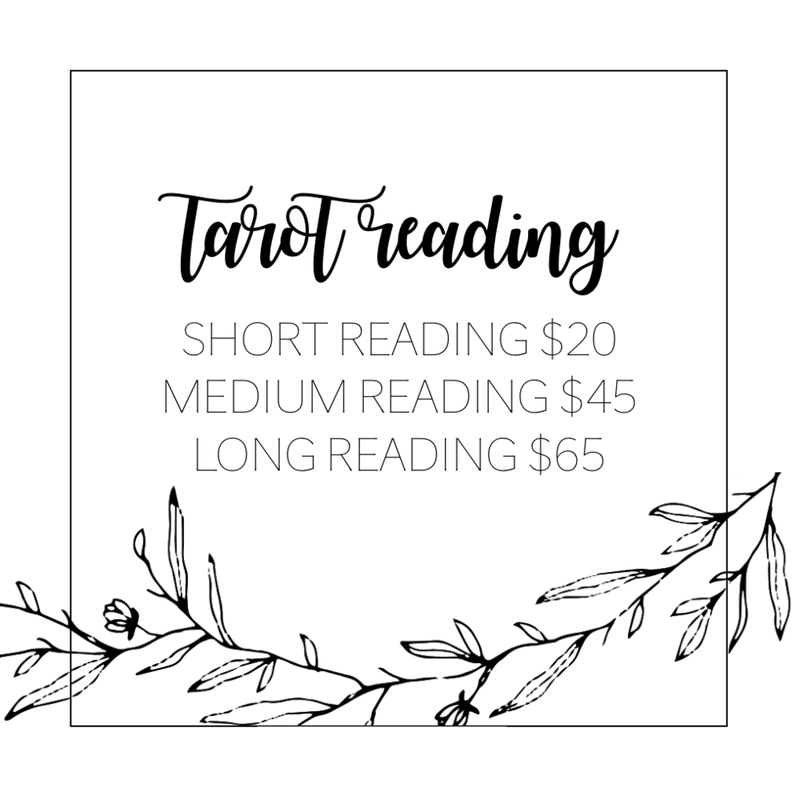 The short reading comes with 3-4 cards, medium with 5-7, and long with 8+. Your reading will be typed and emailed to you as a PDF and come with an image of your pulled cards. Astrology is a tool that allows you to better understand the planetary energetic currents that flow though you as well as surround you on any given day. By understanding your natal chart, you understand how each planet works with you individually and what you can do to better work with those planets. I myself see each planet as a facet of consciousness. We have all 12 signs within us, all the various planets, all the asteroids, comets, etc. By unlocking our own relationship with all of these energies, we can empower ourselves and make conscious decisions, become more aligned with our souls and our goals, and be able to better navigate this crazy experience we call life. My written astrology readings use various astrological techniques to answer one question or theme. 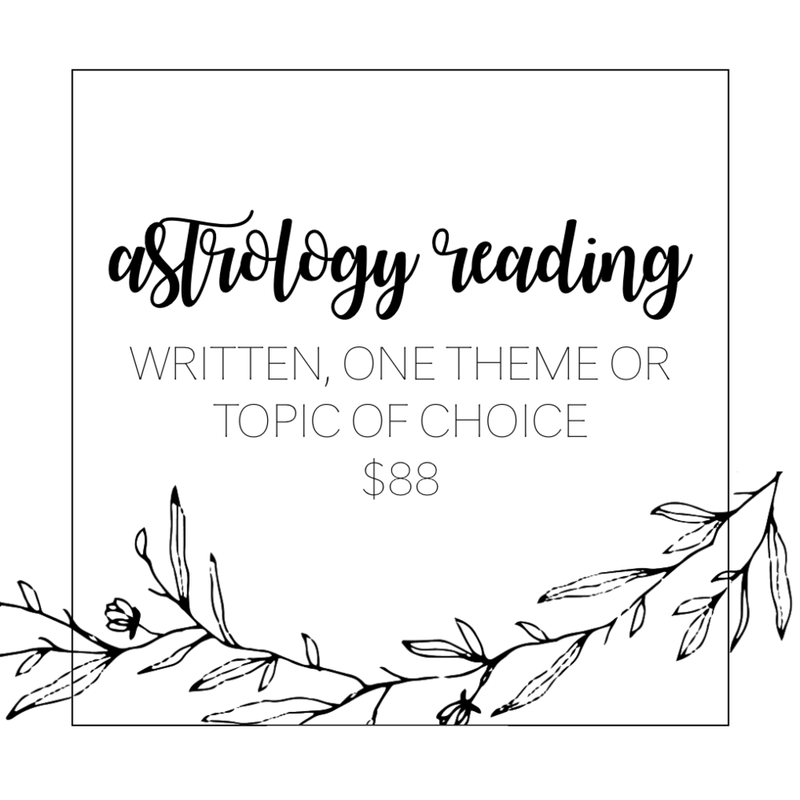 The topic of the reading can be focused on romance + relationships, career, discovering your life purpose, how to best use money and finances to your advantage, a look at the transits currently affecting you, etc. When purchasing, please include your name, date of birth, location of birth, and time of birth. Knowing your exact time of birth will ensure that the reading is as accurate as possible. Although, if you don't your exact time of birth that is fine too, the reading might just have a couple of holes. Also, feel free to include as much relevant personal information you're comfortable with sharing. Doing so will also help provide a more accurate reading. I am here to guide you and to provide you with clarity; I am not here to casually guess what is going on in your life. So, please be open with me. Your personal information and reading details will not be shared with anyone. This reading will be written and emailed to you in PDF format. Written readings will vary in length depending on your question and what information comes through your birth chart. But on average, they are typically 3000+ words (upwards of 5000 words). Possible question topics include, but are not limited to: Relationships + Romance, Career + Life Purpose, Spirituality + Finding Your Ideal Spiritual Practice, Karmic Astrology , How to Find Grounding + Stability , Money + Finances ,Help my life is falling apart! — A Look at Current Transits, [My life isn't falling apart but I still want to know about my] Transits, etc. I adore making reiki infused gemstone jewelry that is individualized to a person's energetic or physical needs, or to their astrological birth chart. 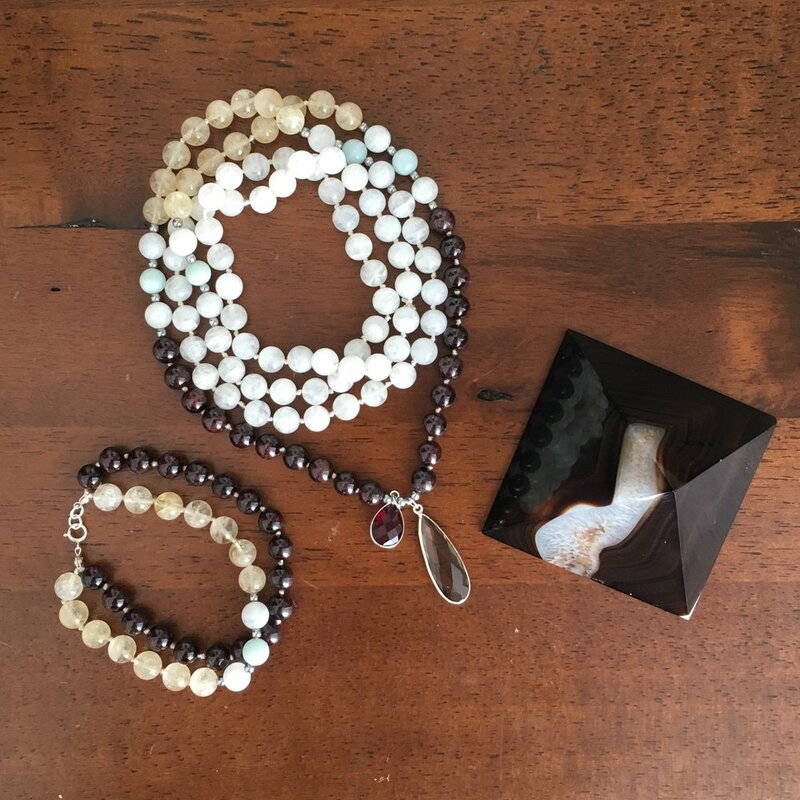 I make 108 gemstone bead hand knotted mala necklaces, 36 bead knotted mala bracelets, and stretch bracelet wraps, either to correspond to your astrological birth chart, to a specific intention you wish to set, or energy you wish it to contain. 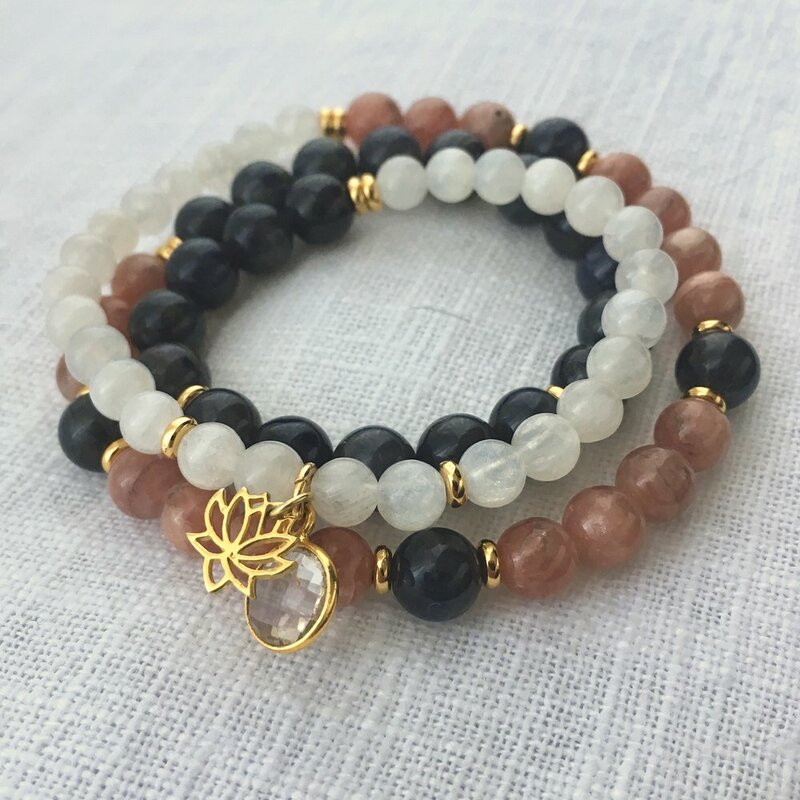 The gemstones used in each mala can match up with your astrological chart to aid you energetically in all that you seek to overcome or accomplish. This can mean gemstones that are compatible with your Sun, Ascendant, and Moon sign to align you with the best qualities of the backbone of your chart or your energetic essence. Or the gemstones used can be ones that will work with a specific prominent planet or aspect of your chart, such as crystals that are ideal for your personal grounding, or crystals that are helpful for opening up your ability to communicate and express yourself, etc. 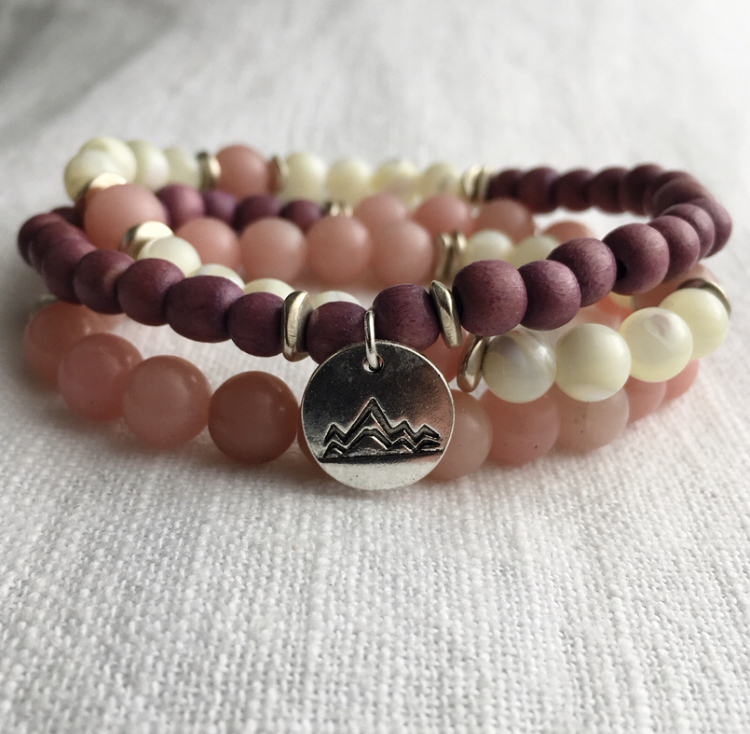 If you would like this mala to be astrologically based, please include your birth date, time, and location in the notes upon purchasing. Otherwise, please include the intention or energy you wish the mala to have. For those of you unfamiliar with malas, they are prayer beads that one wears and recites a mantra with and/or prays with. Each necklace holds 108 beads, a divine number that links one to all that is — 1 representing the individual, 0 representing the circle of life, and 8 representing the infinite. I make the bracelets with 36 beads. 36 x 3 is 108, so by cycling through each bead three times, you can accomplish the same numerical goal. My malas are made with high quality 7mm or 8mm crystal beads and either gold-plated or silver-plated fixings, and silk cording. Please let me know your wrist size upon purchase, if you are purchasing the bracelet. Depending on the crystals that are best suited for your mala, I may or may not have them in stock. So please allow an ample amount of time for your creation to be made, since I may have to purchase supplies. I will let you know which crystals I intend on using before making the mala, to make sure that we are in agreement. Bracelets and necklaces are energetically cleansed and charged with Reiki prior to being shipped to you. This item is made to order, and therefore cannot be returned or exchanged. I have curated this space to find the balance of yin and yang in my business as well as in my personal place of responsibility as an astrologer in these modern, crazy, hectic times! 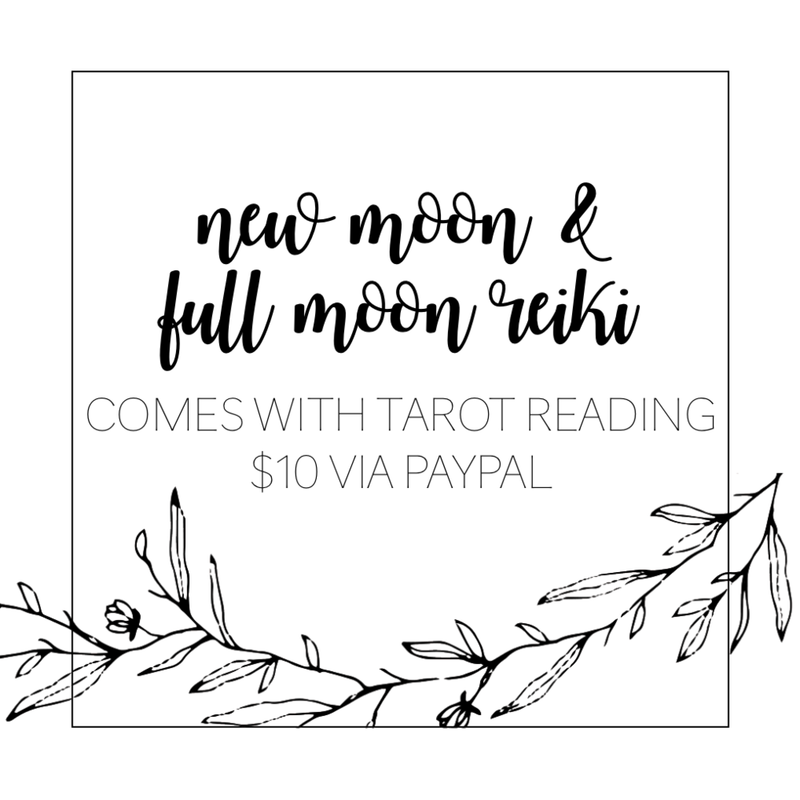 Here you can find an assortment of opportunities to support me financially, so that I may in turn support you energetically as well as spiritually with astrological insights, divination from the tarot, and healing from Reiki. Since I have started my journey as an astrologer, I have come to find that I am a channel of the cosmos, as compared to a strict, traditional, old-school astrologer. Things are not black and white, and there is a lot of grey area, even among the stars. And in my own life, I have discovered a lot of grey area when it comes to sharing astrological wisdom freely, and offering it as a service with which I can be monetarily compensated. It has become a uphill battle to try to support my business with my energy, while not feeling supported by it in return. So here we are, a place where we can meet halfway, where my services are discounted, where I can hopefully provide you with an abundance of insight, and you can provide me with a bit of support and sustenance.